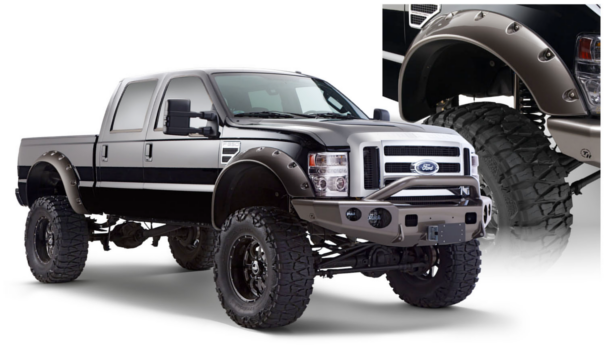 Bushwacker - Bushwacker Cut-Out Fender Flares are designed for the most aggressive wheel and tire packages around. Cut out flares add dramatic styling while allowing you to cut open the wheel well, accommodating for aggressive wheel and tire packages. 100% UV protection. No chalking. No cracking. No warping.